Kent Barton has been working steadily with Burt's Bees over the past year for their packaging and advertising. 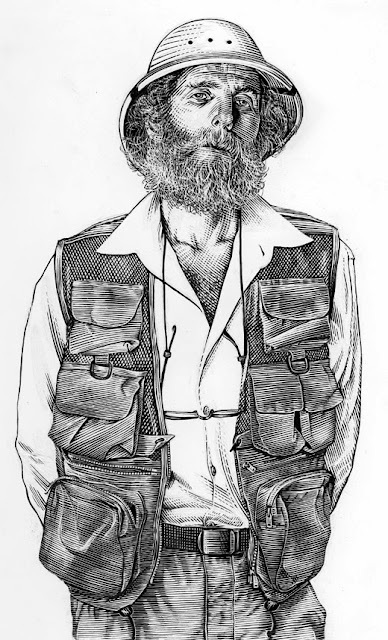 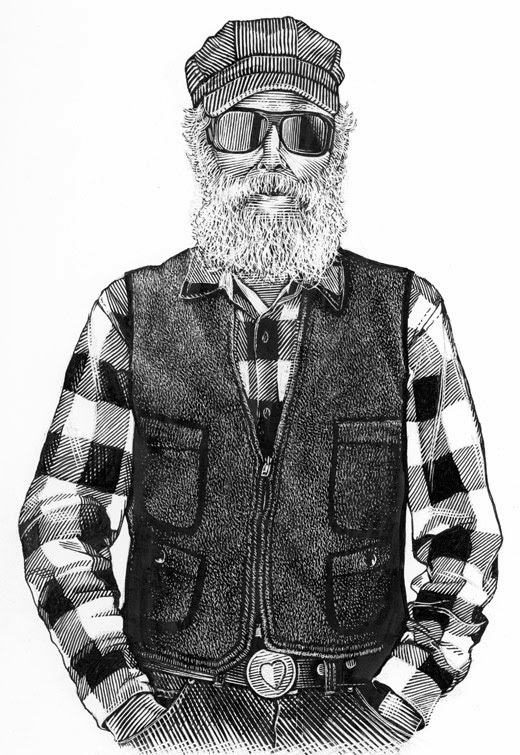 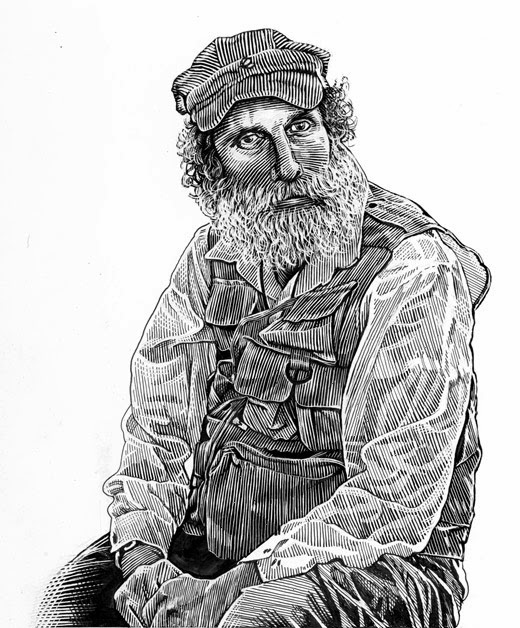 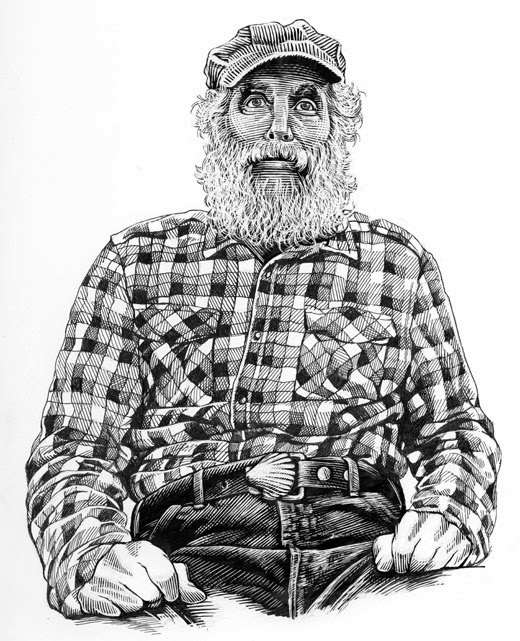 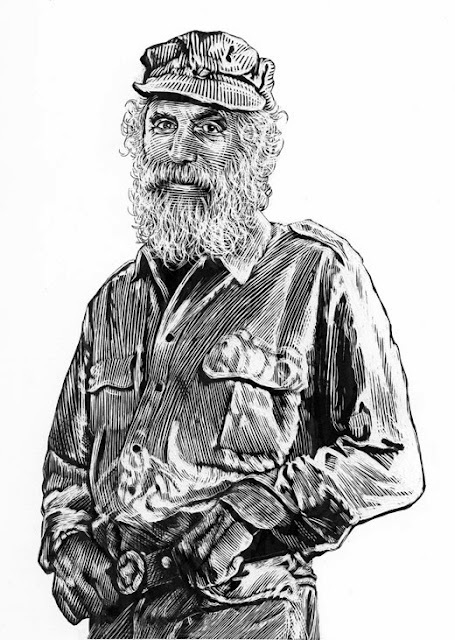 One of the first projects he did for them was a series of illustrations of Burt himself. As you can see, he's quite an eccentric looking man. 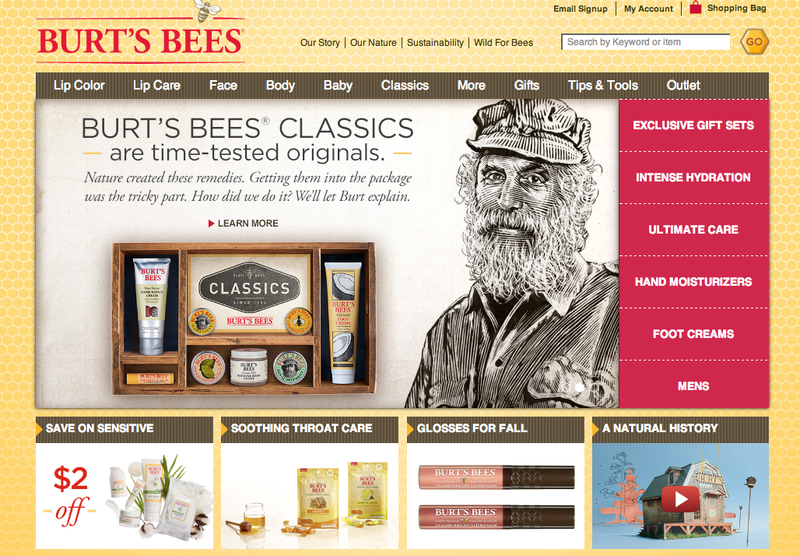 The story of the company's origin is quite interesting as well (read it here).